The Chinese are not, and, so far as we can judge from their history, never have been, what we understand by the term "a religious people." Consequently, we find in their biographical records extraordinarily few instances of religious fanaticism, bigotry, and persecution; still fewer, if any, examples of men and women who have suffered for their faith, when mere verbal recantation would have saved them from a dreaded fate. With a highly practical nation like the Chinese, the acts of human beings have always been reckoned as of infinitely greater importance than their opinions. The value of morality has completely overshadowed any claims of belief; duty towards one's neighbour has mostly taken precedence of duty towards God. 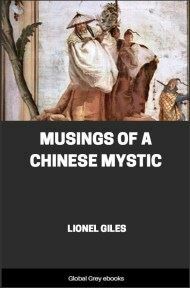 The word "God" has been familiar in China from time immemorial; but before we can deal with the conception implied thereby, it will be necessary to turn our attention to the visible universe as it appeared to the primeval Chinese man. Above him was a round sky, later on to be symbolized as the male element in creation; below him was a square earth, also to be symbolized later on as the mother of all things—the feme covert in "the bridal of the earth and sky." In the Canon of Changes, usually admitted to be the oldest extant Chinese book, we read: "The sky one, the earth two, the sky three, the earth four, the sky five, the earth six, the sky seven, the earth eight, the sky nine, the earth ten." This is explained to mean that, in a cosmogonical sense, and also for purposes of divination, odd numbers are male, even numbers female. We must pause a moment to consider what the Canon of Changes precisely is. 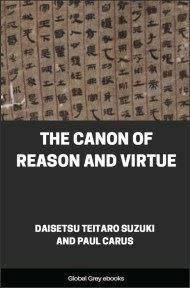 Broadly speaking, it is the most venerated as well as the most ancient volume of a collection of sacred books now known as the Confucian Canon, and it is said to have come into existence as follows. Three thousand years before Christ—the furthest point reached even by the most enthusiastic chronologers—China was ruled by her first, somewhat legendary monarch, the Emperor Fu Hsi. Prior to this date, we hear of a Chinese Prometheus, the discoverer of fire, and of a still earlier hero, who taught mankind to make nest-habitations in trees, as a safeguard against such attacks from animals as people would be more exposed to on the ground. The Emperor Fu Hsi is said to have been miraculously conceived by his mother, and to have been born after a gestation of twelve years; but in spite of this, and of other legendary accretions, it is most probable that he had a real existence. He taught his people to hunt, to fish, and to keep flocks. He showed them how to split the wood of a certain tree (Pawlonia imperialis, S. and Z. ), and then how to twist threads and stretch them across so as to form rude musical instruments. He invented some kind of calendar, placed the marriage-contract upon a proper basis, and introduced cooked as opposed to raw food. From certain markings, divinely revealed to him on the back of a tortoise—some say a dragon (hence the Imperial Dragon)—he is said to have constructed the Eight Diagrams, or series of lines from which was to be ultimately developed a scheme of divination, as embodied many centuries later in the Canon of Changes. Put in the fewest words, these Diagrams are the eight possible combinations or arrangements of a line and a broken line in groups of three, so that either one or the other is repeated twice, and in two cases three times, in the same combination. Thus, there may be a broken line above or below two unbroken lines, two broken lines above or below one unbroken line, a broken line between two unbroken lines, an unbroken line between two broken lines, and finally, a diagram of three unbroken lines, and another of three broken lines. Of these last two, the former, three unbroken lines, was held to represent the sky; the latter, three broken lines, stood for the earth. The remaining six figures were identified as symbols of mist, fire, thunder, wind, water, and hills; and on the ground that the sky and earth, the male and female principles in nature, produce, as it were, the other six elements, an attempt has been made to trace a connexion between the Eight Diagrams and the company assembled in the Ark. The Emperor Fu Hsi is said by some to have subsequently increased these combinations, as above, to sixty-four, by the simple process of doubling the number of lines employed; and on this groundwork was first of all constructed, according to tradition—for no definite traces remain in literature—a system of divination, of which we know next to nothing. However, in the twelfth century B.C., King Wên, the virtual founder of the great Chow dynasty, called "King" although he never really occupied the throne, was cast into prison for sedition by the reigning tyrant, whom King Wên's son afterwards overthrew. There he passed two years, occupying himself with the Diagrams, which others say he, and not the Emperor Fu Hsi, increased to sixty-four, finally producing sixty-four short essays, enigmatically and symbolically expressed, on important themes, mostly of a moral, social, or political character. 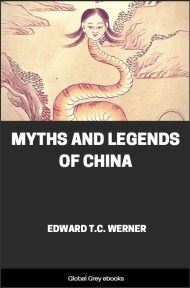 This text is followed by certain commentaries, called by the Chinese the "Ten Wings," admittedly of a later date, and usually attributed, but without foundation, to Confucius, who has left it on record that had a number of years been added to his life, he would have devoted fifty of them to a further study of the Canon of Changes, and could then have claimed to be without great faults.